Do you like crispy bacon? 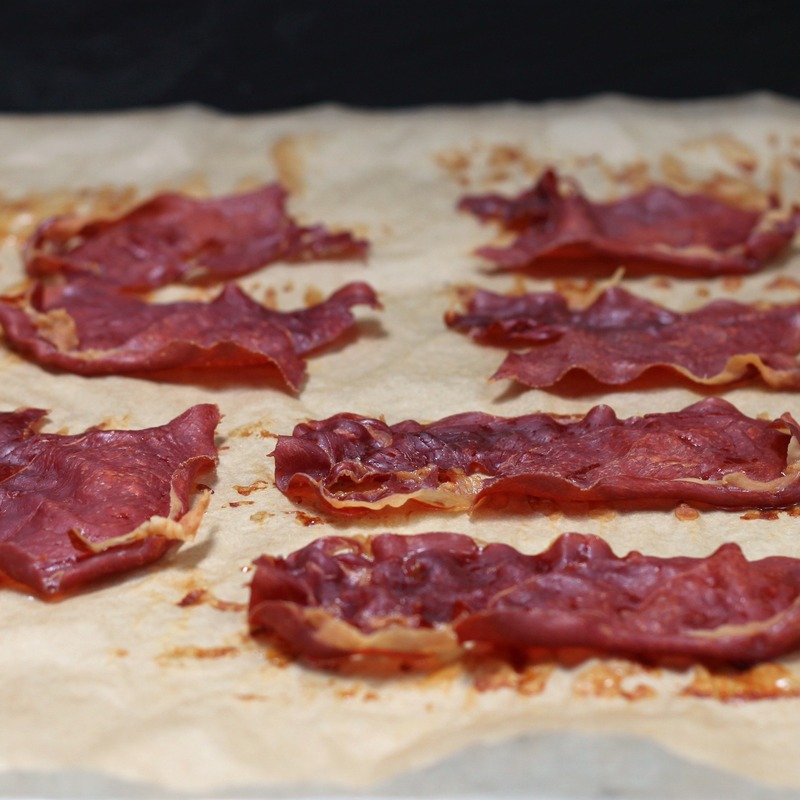 Then try making crispy prosciutto. 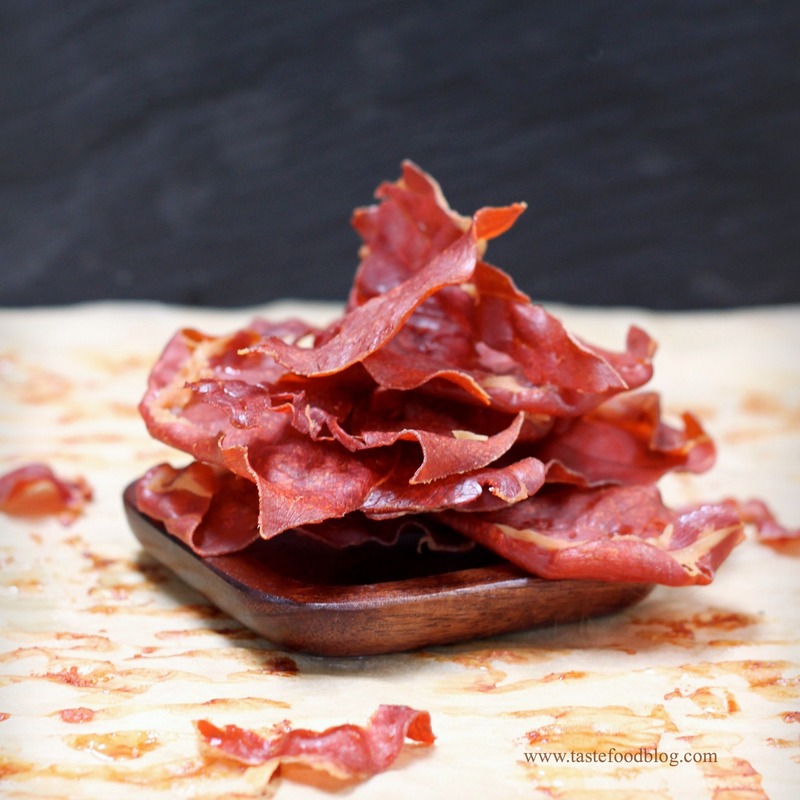 Oven baking slices of prosciutto (or any other dry cured ham) transforms supple ham slices into crunchy shards ready for munching or crumbling over salads, soups, pastas and vegetables. Baking dehydrates the meat, concentrating its flavor and intensifying its saltiness while cooking off excess fat. The resulting wizened slivers of dried pork add a punch of flavor to almost anything and taste great as simple finger food. I call these salty snippets crack-croutons because they are highly addictive and intensely flavorful. Oven baking is a great way to use up any leftover parma, coppa or prosciutto in your fridge – if you’re lucky enough to have leftovers. If not, the method is so easy and quick it justifies shopping for a whole package to open and pop into the oven. And you don’t have to spring for the expensive stuff – any thinly sliced dry cured ham will do. I often use German prosciutto from Trader Joe’s that’s half the price of the Italian equivalent. 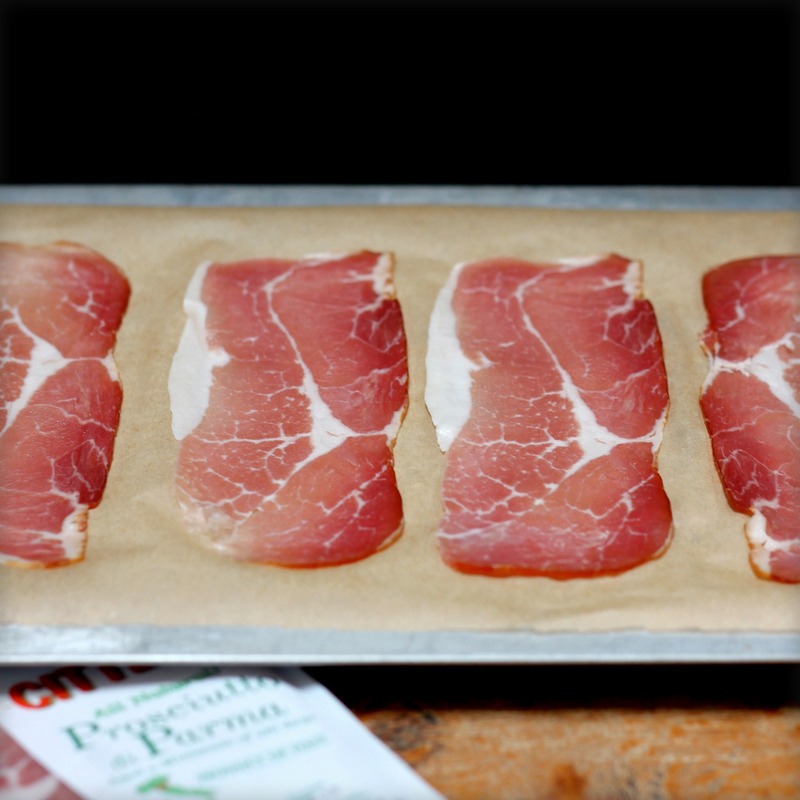 To crisp the ham, arrange the slices in one layer, without overlapping, on a baking sheet lined with parchment paper. Bake in a 350°F oven for 15 minutes, then turn off the heat and let the ham stay in the oven for another 10 minutes. Remove and cool, then break into shards. The crispy ham will keep in a covered container in the refrigerator for up to one week – but I promise it will be long gone by then. 1. Scatter over mixed salads. 2. Sprinkle over creamy soups and chowders. 3. Garnish eggs and frittatas. 4. Crumble the shards and use to season cooked vegetables. 4. Add to cheesy pasta dishes and homemade pizzas before serving.